We all have emergencies at the most unexpected or at an inconvenient times in our lives – a family member falling sick, car breakdown or a sudden home repair. 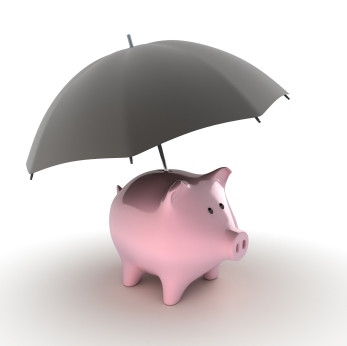 Many do not anticipate these emergencies and therefore don’t save for a so called “rainy day.” Instead end up having to depend on a payday loan or line of credit to cover these unexpected expenses. A survey carried out for Bank of Montreal has revealed that only 24 per cent of Canadians have put a side cash for emergencies, while approximately 56 per cent have savings of less than $10,000 for emergencies. Those surveyed have also pointed out that expenses relating to medical treatment, car repairs, home repairs and sudden job loss, were considered as their emergencies. Set yourself an achievable target and make sure you set aside a small amount from every paycheck. Selling off things that you don’t have a need for anymore. Get yourself a second job and use the extra cash towards the emergency fund. 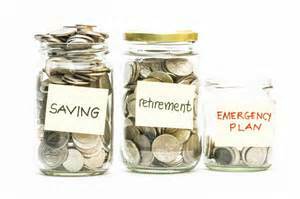 An article published by Mortgage Broker News.ca highlights the importance of maintaining an emergency fund. If you need assistance with financial planning, contact the team at MiMortgage.ca now to speak to expert and get started on your emergency fund! The housing crisis in Canada has been gaining lots of media coverage over the last few years. The introduction of Canadian Rental Housing Index in Toronto last week, in conjunction with non-profit organizations and credit unions will be helpful to track rental housing across Canada. 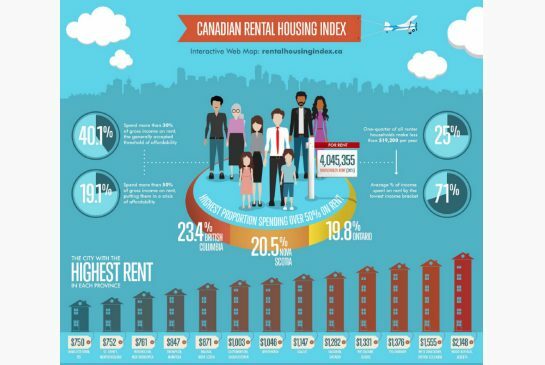 The index will gauge overall renter income, affordability and overcrowding across the country, and will take in to account all types of rental housing available, which includes, social housing, condos, houses, self contained units in homes and purpose built rentals. Rental households constitutes for 30 per cent of households in Canada. 40 percent of rental households pay up to 30 percent of before-tax income on rent and utilities. One in five rental households pay more than half of their income on rent. 11 per cent of rental households live in overcrowded conditions. While rental properties in big cities such as Toronto, Vancouver and Calgary usually are known to be higher, the affordability crisis however is more prevalent in the suburbs, where rentals have been rising consistently due to almost non-existent rental or social housing. A great article published by The Star highlights the housing issue in Canada and the plight of renters. While renting in any situation is not ideal, your individual circumstances may restrict you from owning your own home and instead having to rent. Contact the team at MiMortgage.ca to speak to an expert about how you can plan your finances, to enable you to buy your own home, in the future. 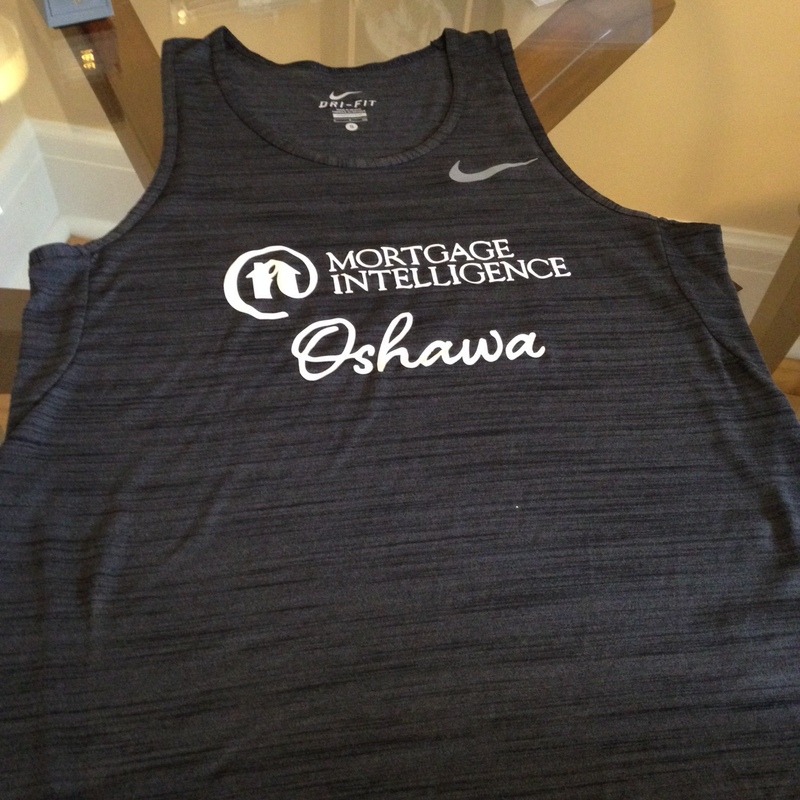 A big THANK YOU to everyone who sponsored the Mortgage Intelligence – Oshawa Team. 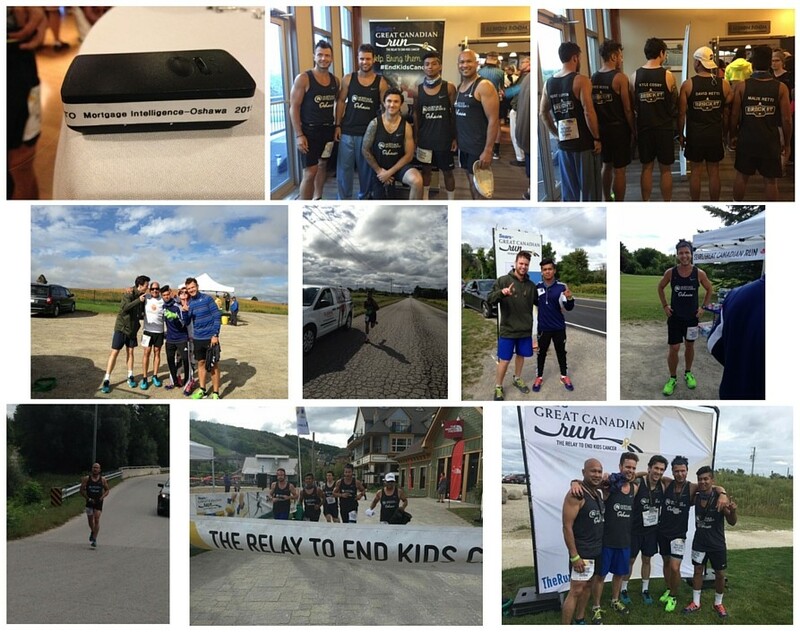 With your contributions and support the Mortgage Intelligence Team was able to raise a total of $2,898 and we are very happy to let you know that the team finished the 120 Km run in first place! 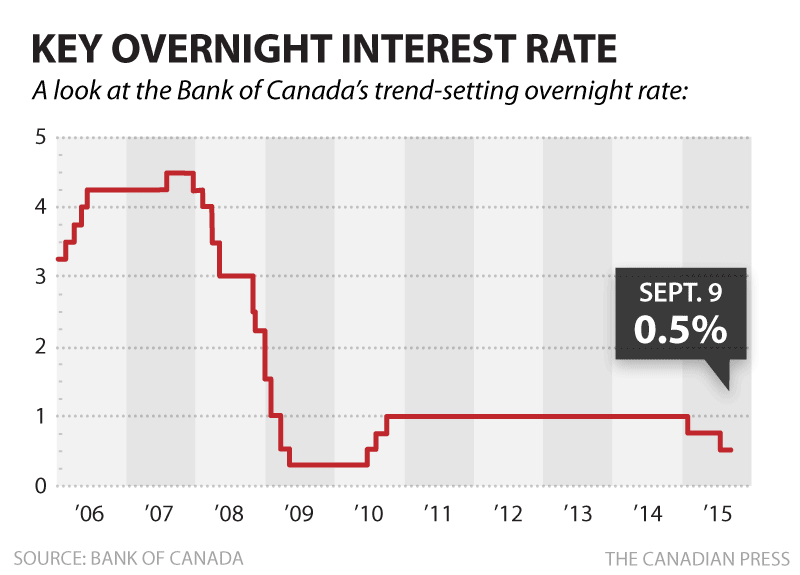 The Bank of Canada‘s announcement to keep the overnight rate at 0.5% may come as no surprise to some. In an effort to give the economy a much needed boost, BoC made two interest rate cut announcements earlier this year, 25 basis point in January and the most recent rate cut announcement by a further 25 basis points in July to 0.5% due to the falling oil prices. The aim through this initiative was to make borrowing cheaper in order to encourage more businesses to borrow. Although the economic outcome of the previous rate cuts maybe slower than anticipated, BoC’s announcement to keep its rate at 0.5% is an indication that the past interest cuts maybe improving the economy and needs more time for results to be more eminent. A great article published by CBC.ca gives readers information on the economic outlook. Are you looking to buy a home, and trying to make sense of how interest rates will impact your ability to buy a home? Contact the team at MiMortgage.ca at 1 866 452-1100 to speak to an expert now. The final count down has begun… it’s three more days to go until race day! 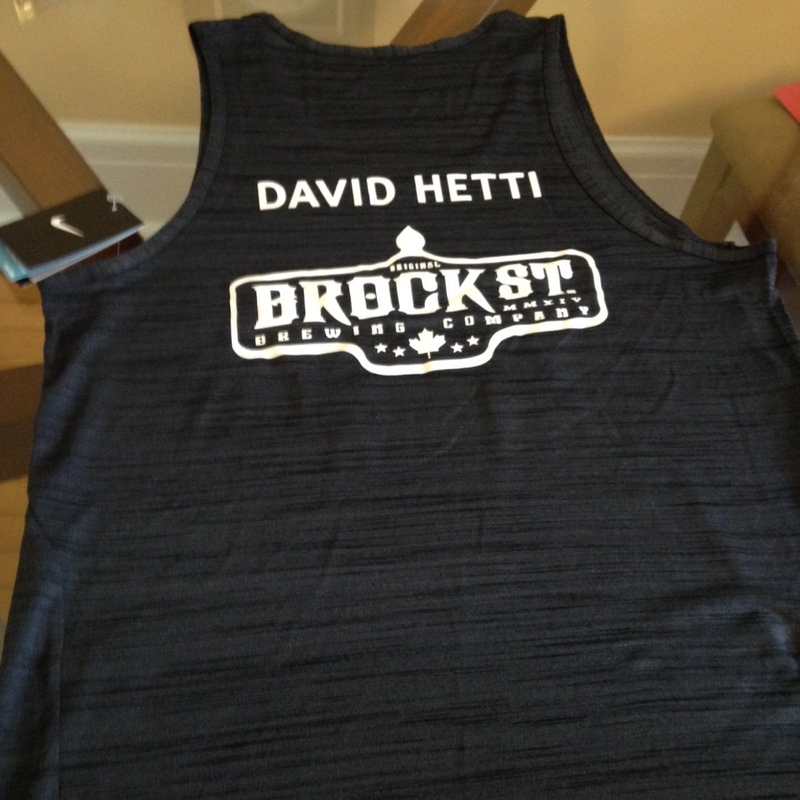 With the team t-shirts and the running roster for the race out of the way, the team is now focusing on their dietary plan and working on final fitness schedules in preparation for the race. A very big “THANK YOU” to all our sponsors for their contributions. With your help the team has collected up to 97.5 percent of their fund raising target. Once again, we are calling out to everyone for their help and support with contributions towards this great cause. If you are a homeowner and you have already been through the mortgage financing process a few times, the chances are that you may have heard your mortgage broker mention the term “porting your mortgage” at some point during obtaining financing. “Porting a mortgage” simply means transferring your mortgage from the existing property to a new property at the existing interest rate. This process generally takes place once you sell the home you currently reside in to purchase a new home. 1. The borrower will have a period of 90 days from the sale of the current home to buying the new home. This is a very short time frame to complete the port, as real estate at present is more favorable to sellers and closing will be on seller’s timing. In addition, you maybe up against multiple bids from potential buyers too. 2. Once you have set your sights on the home you want to buy, you will be required to re-qualify based on your income, credit history and information on the new property. In short, the lender needs to be satisfied with your circumstances prior to approving your loan. 3. A new job taking you to another city. Along with a new job comes a probation or a trial period to ensure this a good arrangement for both parties. As lenders require steady income and will not use your income during this period. Porting your mortgage in this instance will be a tough task unless, your partner has sufficient income to qualify. Probationary requirements will not apply to you, if you are upgrading to a bigger home or moving to a different neighborhood or relocating and remaining in employment with the current employer or you have qualified as self-employed and will remain in the same line of work. Please keep in mind that you are required to re-qualify in other aspects of porting a mortgage and will need to complete process during the stipulated time frame. An article published by Huffington Post gives readers insight on the challenges of porting a mortgage. Are you looking to find out information on the benefit of porting your mortgage or other options available to you and if you will incur any prepayment penalties? Contact the team at MiMortgage.ca today to speak to a mortgage expert or to get pre-approved, apply now through our secure website.